Alicia Anabel Santos is a Writer, Producer, Playwright, Speaker, Activist, Teaching Artist, Afrolatina Lesbian Storyteller and Priestess. Welcome to My Writer's Life. Here I take you on a journey into my creativity and everything that comes up for me during this process. 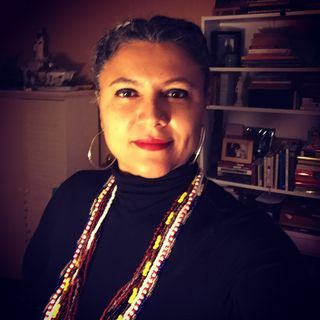 Alicia Anabel Santos is a Writer, Producer, Playwright, Speaker, Activist, Teaching Artist, Afrolatina Lesbian Storyteller and Priestess. She was born in Brooklyn and is a proud Dominican Writer. She is the Founder of the New York City Latina Writers Group. In 2011, she published her memoir, Finding Your Force: A Journey to Love and her ... See More one-woman show I WAS BORN was selected as part of the ONE Festival in New York. In 2008 Anabel joined Creador Pictures, LLC and is the Writer/Producer for the documentary Afrolatinos The Untaught Story. She attended New York University and lives with her partner in the Bronx, New York. She is a priestess writing her way out of the abyss.